Looking for an easy way to spread the word about Women Build and help raise funds for your team? Adding a “teaser” button to your email signature only takes a few minutes to set up, but continues to spread the word for you, automatically, every time you send an email. If Annie’s interest is piqued by the button and she clicks on it, she’ll be redirected to my personal fundraising page on DonorPages where she can read my personal story about habitat, see pictures and make a donation. Download the image above by right-clicking (control-click on a Mac) and choosing “Save image as…” Save it to your desktop for easy access. Once you’ve added the image, you’ll also want to click on the image, then click on the link button (to the left of the add image button) and insert the link to your personal fundraising page on DonorPages. Once you’ve added the image, you’ll also want to click on the image, then follow the instructions to insert a hyperlink and add the link to your personal fundraising page on DonorPages. Please note, not all email providers support adding images to the signature. If you use an email provider not listed above, please check your support documentation for instructions. Don’t forget that keeping your current donors (and potential donors) up to date with house progress, team pictures, and other fun Women Build event invites is a great way to keep them engaged and feel like their donation made a difference. 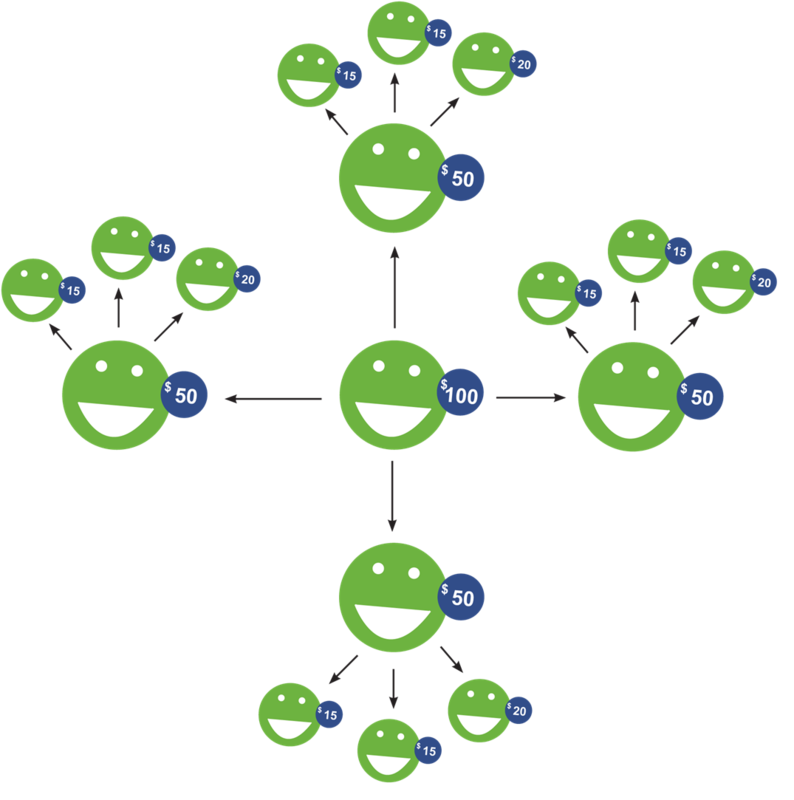 An engaged donor, is a happy, often repeat donor! What a beautiful day for a Wall Raising Ceremony! As we gathered around the build site on Saturday that’s what everyone kept saying – and it was – warm and sunny with just a bit of a breeze. That’s three years in a row (at least) of perfect weather for the Women Build Wall Raising. We had a great turn out too – a big THANK YOU to everyone who was there. 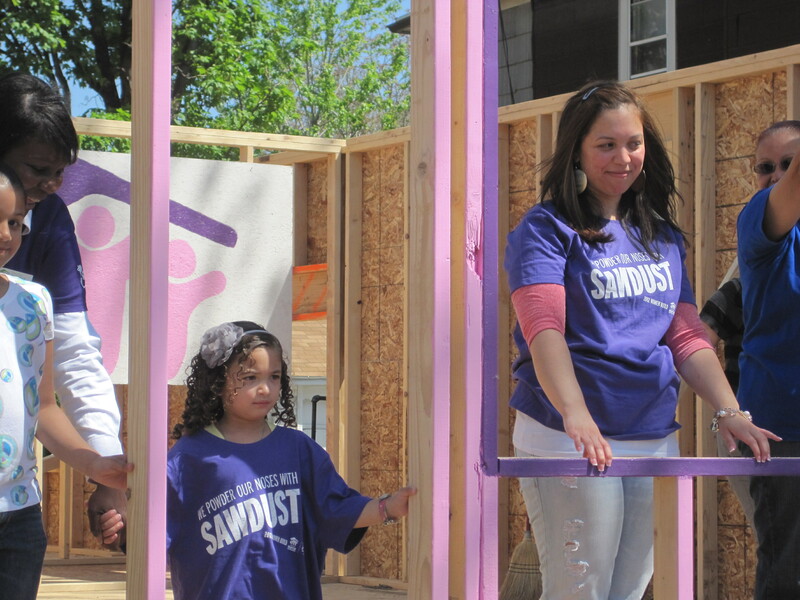 For most of us, Saturday was our first opportunity to meet the 2012 Women Build Homeowner Casandra and her daughter Arianna. It was truly a pleasure to meet such a sweet, bright, hard-working young woman and it warmed my heart to see how many friends and family members came out to support them both. Women with KMC had a great day (weather and spirit-wise) out on site yesterday. They lucked out and got all of the forms for the foundation out well before the drizzle and thunderstorms. And thank goodness because that would have been one very muddy hole! And speaking of goodness, we have some fun events in the next few days! Today is Insero Habitat Homemakers raffle from 12:30PM – 3:00PM (click for more details). 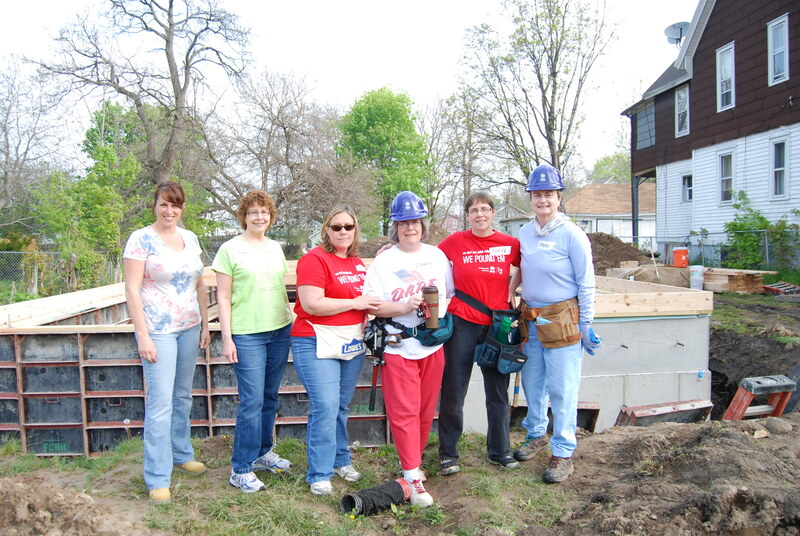 Tomorrow is the Lowe’s Women Build Clinic at Webster Lowe’s from 10:00AM – 12:00PM. 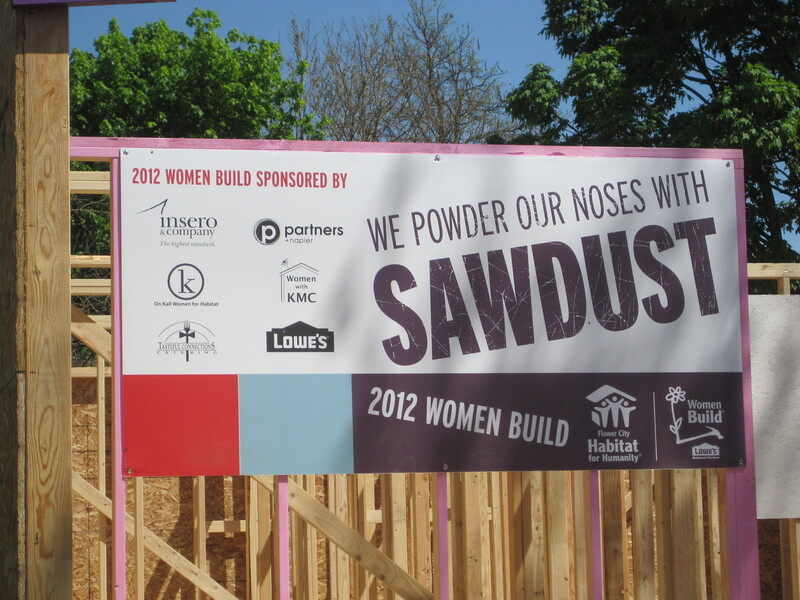 And next week is National Women Build Week for all Habitat for Humanities! Celebrate with us on May 12th (Saturday) as we raise the wall on our Women Build home at 158 Campbell Street starting at 11:00AM. Bring your team, donors, or anyone who is interested in starting a team – there will be photo-ops raising the wall (of a yet to be announced special color), a special speech or two, and chance for you to celebrate the biggest milestone of the house building process next to completion. Lastly – don’t forget about our two additional Women Build fundraising opportunities Panda Wear Jewelry (click for more details) and Country Way Garden Center (click for more details). We’d love to know some fun things that your team is doing to help make your goal – share them in our comments so all the Women Build teams can see! This made our morning – Edwin AND Erwin spending some cold quality time down in the Women Build foundation. You’ve got to love the twin’s spirit and dedication! They can’t WAIT to see you all out on site. Speaking of on site, don’t forget to sign up your teams for build days. Remember, EVERYONE on your team needs to be signed up individually so make sure every Women Build team member has her/his name on a day. The twins will need the help to continue the house build (and to get out of that hole!) – so make sure you sign up today or we’ll start opening the Women Build days to non-Women Build teams. 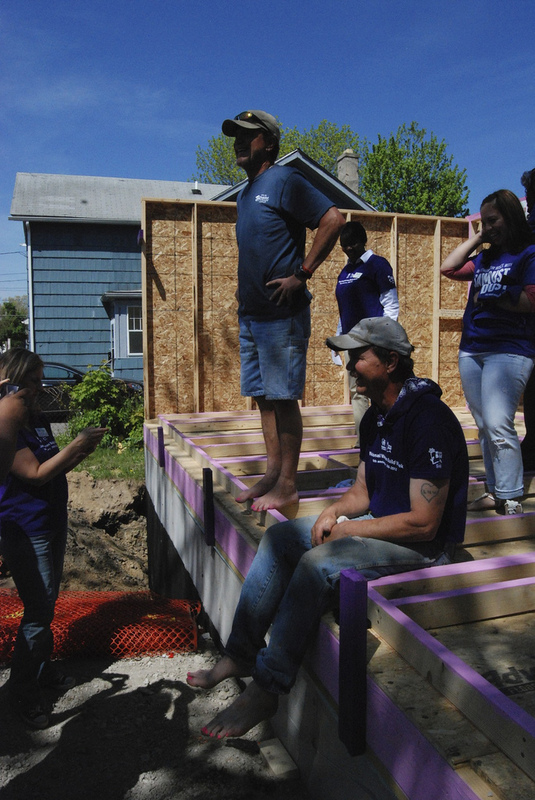 Lastly, we have another fundraising opportunity for our Women Build teams. Goodness Grows is a plant fundraiser from Country Way Garden & Design Center – part of the Broccolo Family. On SUNDAY, MAY 20th 10% of purchases from Country Way will be donated to Flower City Habitat’s 2012 Women Build program. **UPDATE** For those of you asking about Country Way – you can find their website here. And we’ve added their address to the invitation. Thanks to Kim Pandina, creator of Panda Wear, we’re offering a fun (and pretty) fundraiser for our Women Build teams this year. Kim has created these earring sets especially for Flower City Habitat Women Build and she’s offering them to our teams below cost! 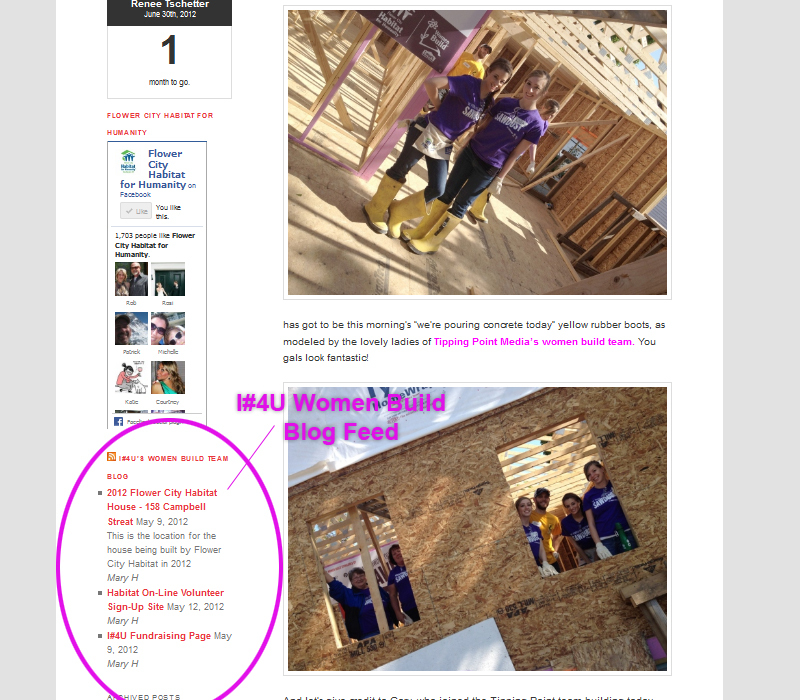 This means that you can sell them as a way to raise money for your Women Build team. 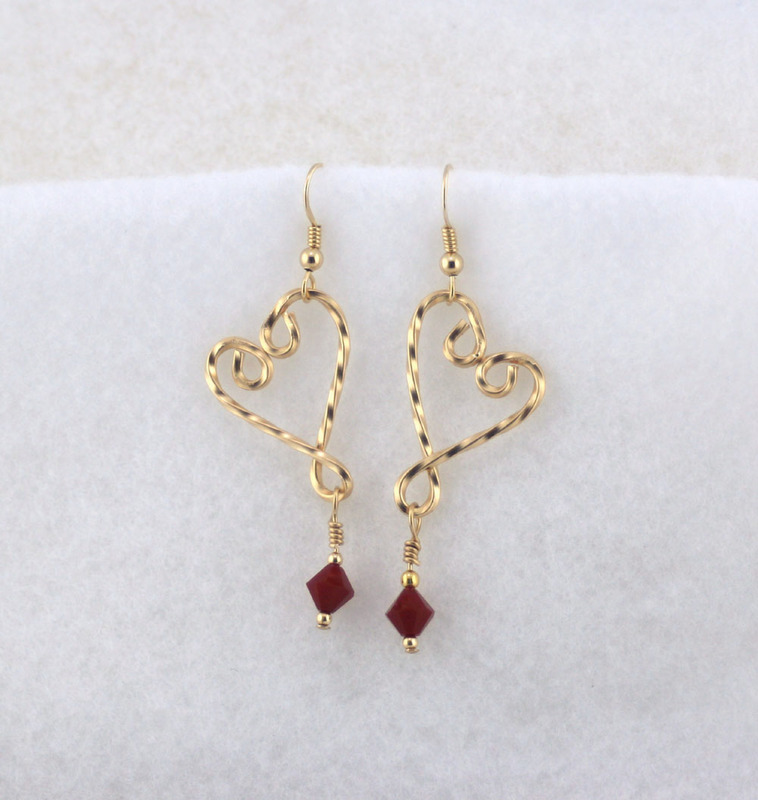 These are very versatile earrings which are light weight and comfortable. 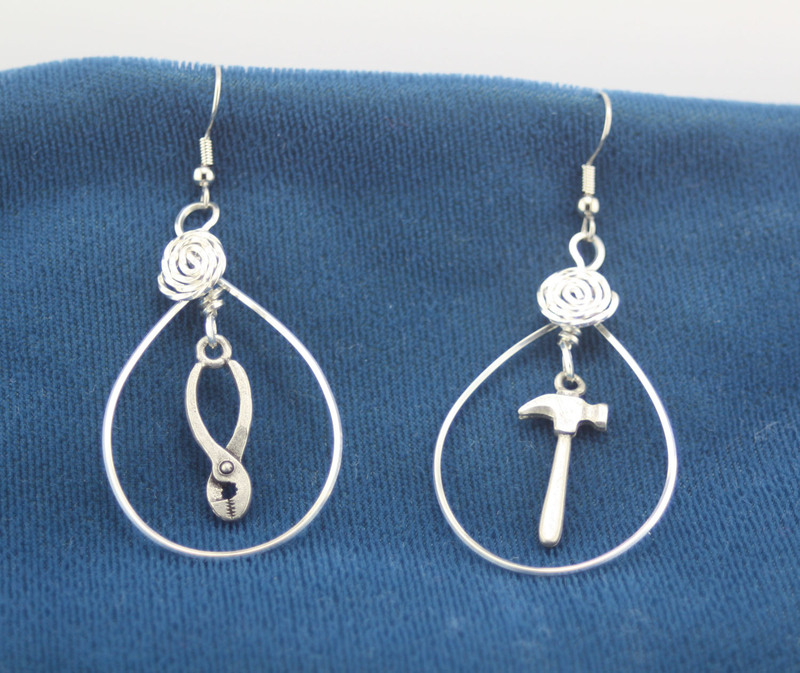 Materials are Sterling Silver with pewter tools and surgical steel ear wires. Two styles – either Sterling Silver or 14 karat gold filled. Order by 5/2 for Mother’s day. Price includes basic shipping via USPS. When ordering, please provide the name of who gift is for and who the gift is from. Kim will create note cards to go with each set with the habitat logo and the gift giver and the recipient on them. 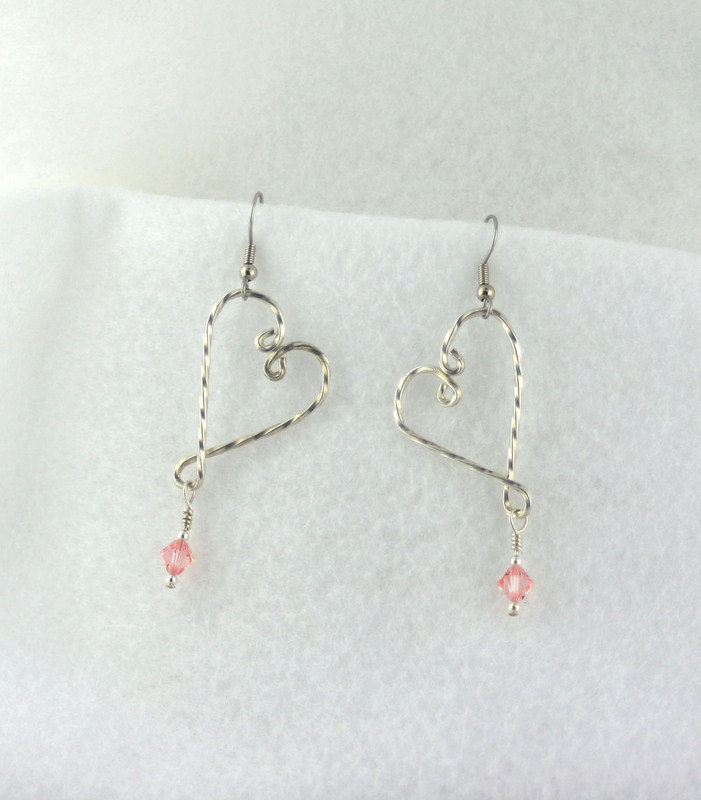 Sterling Silver twisted heart earrings with Pink Swarovski crystal dangles. These beautiful earrings sparkle and catch the light. All metal beads are Sterling Silver. Ear wires are surgical steel. Size below the finding is 55mm x 20mm. Total length is 70mm. 14 Karat Gold Filled earrings with Pink Swarovski crystal dangles (pictured in purple). These beautiful earrings sparkle and catch the light. Size is 55mm x 20mm. Total length is 70mm. If you have any additional questions – don’t hesitate to call us here at Flower City Habitat. Just ask for Teresa Bianchi – 546-1470 or email tbainchi@rochesterhabitat.org.